Floor protectors, prevents marring to your indoor surface. 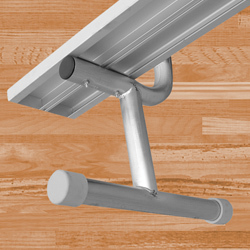 Each kit provides non-marring floor protectors that easily slip on to the bench legs. May be used on any 2 3/8" O.D. material.